Researchers have made a discovery that could lead to a better understanding of astrocytes, a type of cell in the brain that is thought to play a role in Lou Gehrig’s disease, also called amyotrophic lateral sclerosis, or ALS; Alzheimer’s disease; Huntington’s disease; and other neurological disorders. Neuroscientists from UCLA are are the first to have bred mice in which an artificial gene called Cre/ERT2, a basic tool for studying the functions of cells, can be activated exclusively in astrocytes. A paper describing their work was published online today in the journal Neuron. Investigators have been trying for years to engineer mice in which Cre/ERT2 or other artificial genes can be activated just in astrocytes without significant “leakage” into other cell types. To give the mice the Cre/ERT2 gene, Khakh and colleagues inserted it into another gene, Aldh1-l1. Aldh1-I1 had been found in a previous study to only be active in adult astrocytes. Cre/ERT2 normally can be activated in mice by giving them a drug called tamoxifen, which is best known as a breast cancer treatment. The UCLA researchers, however, built the combination gene so that tamoxifen could only “turn on” the Cre/ERT2’s when it was in astrocytes. 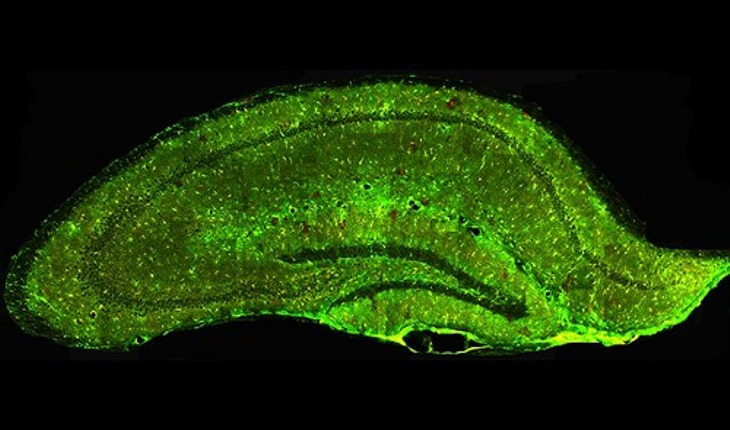 The researchers also verified that the gene becomes active in virtually all astrocytes in the adult mouse brain but in virtually no other cells. Scientists have known that astrocytes perform a variety of routine functions throughout the brain, and it is believed that they have a major influence on how the brain works and how humans and other animals behave. But what scientists haven’t been able to explain very well is how, at the molecular level, astrocytes accomplish all of these functions. The UCLA advance should provide a powerful tool that scientists can use to solve that puzzle. In initial demonstrations, Khakh and his team used the mice to learn more about a phenomenon called “calcium signaling,” through which astrocytes influence the functions of neurons, and also to identify for the first time the genes that are normally active in adult mouse astrocytes. Astrocytes have also been linked to several neurological diseases, including ALS, a usually fatal disease in which neurons that control muscles face progressive destruction. Several recent studies on ALS have identified astrocytes as a significant cause of the deaths of these neurons. How astrocytes end up harming neurons in ALS remains a mystery, but the mice with Cre/ERT2 should enable researchers to tackle that question more effectively than they could have before, Khakh said.